e.g. 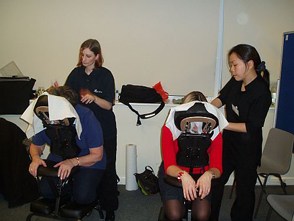 onsite massage at the desk; chair massage; special foot massage; neck,back and shoulder massage where the therapist(s) can come into your workplace and perform treatments in a dedicated room; hall; or at the desks of you and your staff every week, month or every quarter. We can also provide a couch massage for more comfort in a dedicated room / screened area. Are you looking at ways to treat your staff? We could have the answer for you packaged in the form of a gift voucher which can be redeemed at their leisure (within six months) at the MindBody Therapy centre in Forest Hill. Book by the price (from £5 upwards) or by the treatment. BACS or Direct payment is available and we can post them to you. Contact us to discuss company deals. 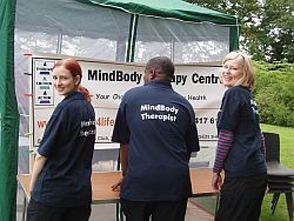 We aim to offer a professional service to you and as such, all the therapists within The MindBody Therapy Group have been interviewed and hand picked for their quality, delivery of service and experience in their field of expertise.They are fully qualified, trained and insured. 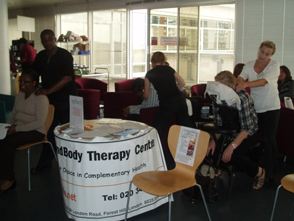 Also, where possible, we like our therapists to belong to their associated governing body, such as CThA; Complementary Therapists Association or FHT; Federation of Holistic Therapists. Thus ensuring that they need to adhere not just to our mission and values but also to follow a code of professional code of conduct.